I think this is an absolutely brilliant idea!! I was invited by a fellow 2011 Singapore Blog Award winner (Best Lifestyle Blog), Bing, from storyofbing.com to take part in a global campaign known as 'The 7 Links Blog Project'. Anyway, a huge thanks to Bing for the invite and the very lovely words she wrote on her Top 7 Article!! OK - so how to define 'beautiful'? I guess the term is very subjective, and for me, the most beautiful thing in my life is my family... therefore, I have to break the rules (already) and enter three articles in this category - one each for Jaime and Casey and one for my beautiful wife, Sammi. The one for Jaime was just a short while back - the cuteness overload saw the Singapore national Chinese newspaper Lianhe Wanbao view the YouTube Video and subsequently interview me for a large print article that appeared about a '4-year old mixed kid Internet superstar'... how very proud was I?? The article (click to view), was titled, "WTH!? Huge Amounts Of Cuteness Overload - 郑家洋"
The article for Casey was (of course) the miracle that was his childbirth (on the same date as my dear departed Dad). 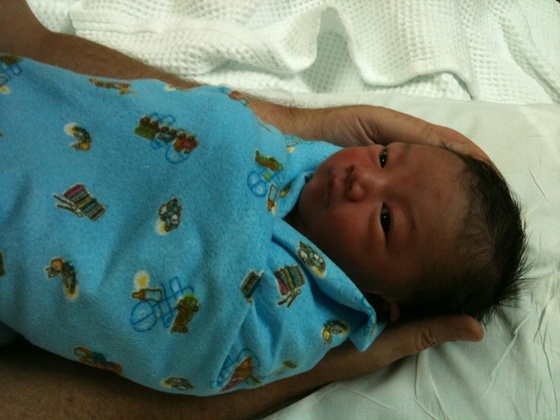 Click here to view "Miracle of Life - Casey Zheng Jiakai!!" Finally - the love of my life (aaawwww! ), Sammi... I've obviously written numerous articles about the joys of our inter-cultural marriage, so it's difficult to choose, but I decided on this one (Valentine's Day last year - which won a prize from Reebonz)... I chose it specifically because it has our wedding video (short version) embedded. Click here to share with us and enjoy our wedding! - "Sharing The Love For Valentine's Day"
If 'popularity' for this 7-Links project is based on unique visitors and 'hits', then without a doubt the winner in this category, is an article I wrote a couple of years back, after much research on the oft-discussed language that is unique to Singaporeans and actually (I believe) culturally significant and something that all locals should be proud of - SINGLISH! 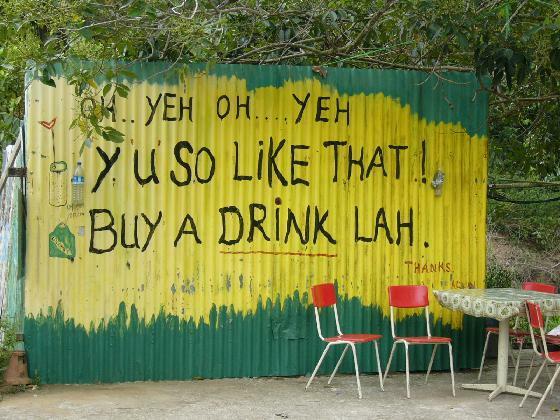 The article was entitled, "SINGLISH - A Language Guide for Foreigners"... Click here to read it. The most 'controversial' is once again a bit subjective, given that I'm going now just on the sheer number of emails I received (and still receive) on this article that I also wrote a couple of years back... it was really a 'test' at the time to see what the feedback of readers would be, and is not a topic that I would probably broach on my blog these days - I think my writings and musings here at 'Aussie Pete' were perhaps much more controversial back in those days as I was learning to feel my feet in a new country. 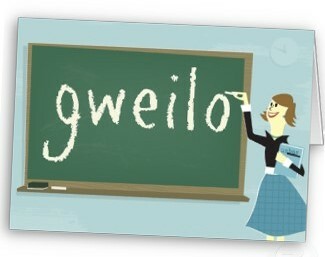 This title of the post speaks for itself - click to read - "'Ang Mo' in Singapore and 'Lao Wai' or 'Gweilo' in China - Offensive to Westerners?" 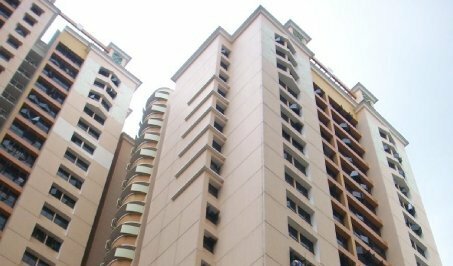 This one is easy - without a doubt, the article that I wrote outlining our experiences and the processes that a PR (permanent resident) in Singapore needs to go through to purchase a resale HDB apartment in Singapore... it was also picked up (with my permission) and used as a 5-part series at both one of the popular online real estate companies in Singapore, along with Yahoo News - if I counted all the comments and traffic driven around the blogosphere by these 'rewrites', I could also say that this article was the most popular AND (for various reasons) the most controversial. Click here for "Information For PRs – How To Buy A Resale HDB Apartment In Singapore"
Obviously over the last few years, the content of my blog has 'morphed' a bit into what is now known as 'WTH' (What The Hell) - I say 'obviously', because I have won the award for the best WTH blog in Singapore for the last two years at the OMY Singapore Blog Awards. The fallout from this, is that now and then I write posts that may be considered by many (including myself) as downright crazy and even disgusting. One such article received huge amounts of (search generated) traffic and is perhaps a good example of how the digusting and perverted can be of interest to thousands of ordinary people. Click to read about the "Sick Chinese Video Craze - Pretty Girls Crushing Bunnies (Warning: Graphic)"
Once again, I'm selecting one of my older articles for this... I wrote this one just a few weeks after we bought our car, and I was very alarmed at the speed of motorists in car parks. Two years later, I still feel very strongly about this, and would love to see this post get more exposure to create awareness. 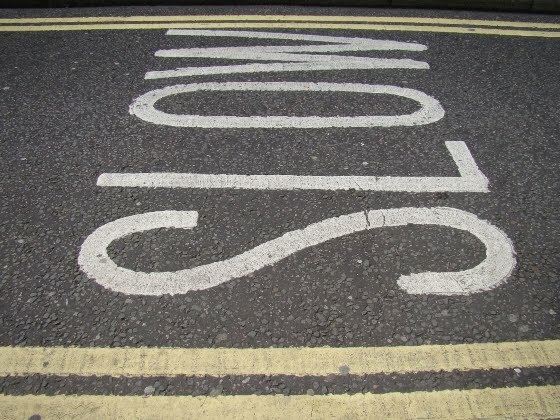 Car Parks - Slow Down or Kill Someone - Click to read about it! 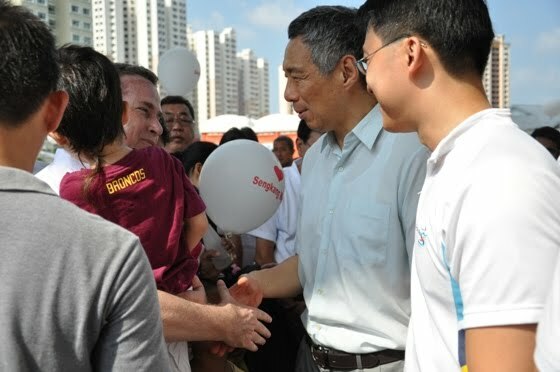 So perhaps the actual article link here is not the only one I'm proud of (although it was an awesome experience meeting such an inspiration as Lee Hsien Loong (PM of Singapore)... in general the post is a reflection of the pride and self-satisfaction that I feel from volunteering as a Grassroots leader. To be able to help out in the community in such a variety of ways is extremely gratifying, as well as enabling my family and me to reach out and meet so many wonderful new friends and neighbours in Sengkang West - OUR HOME!! Click here to read about "The Day I Met The Prime Minister of Singapore"
"Alvinology is a light-hearted blog maintained by a regular Singaporean dude called Alvin who lives in Potong Pasir. Like most Singaporeans, Alvin likes to travel and eat. Hence a large number of blog posts are devoted to these two topics. He also likes to read books, watch movies, check out the funny as well as chee ko pek issues online"
"Once told that it was his destiny to wander through life, the Wondering Wanderer takes a wide eyed view of life’s wanderings through the eyes of the child that he was and blogs about the many things that has captured his imagination through life’s journey." "Since moving back to Singapore in 2010 from New Zealand after being deemed "too tall" to play a hobbit (while "too small" for anything else), Kirsten has been working on documentary and film projects. Kirsten recently won the 'Best Y Bloggist' award in the ingapore Blog Awards 2011, and is on far too many social media platforms for her own good"